We are immensely excited to announce the release of MongoChef 4.5! This is one of our largest releases ever. We would like to explicitly thank you, our users, for your plentiful feedback and feature suggestions that continue to make MongoChef so much better. to name but the most high-level ones. 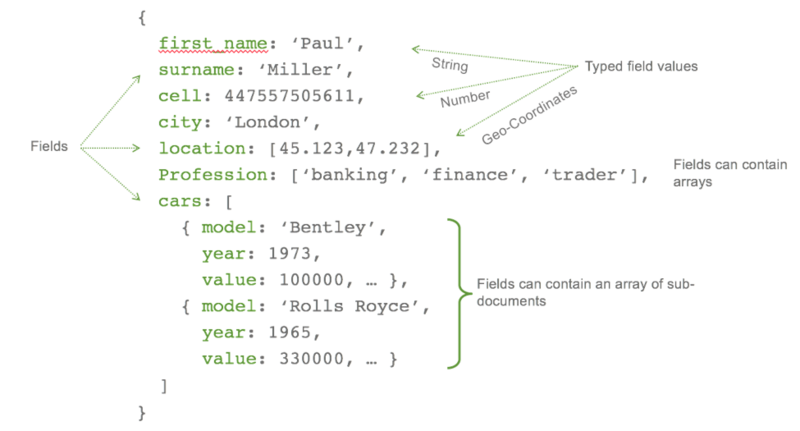 MongoDB 3.4 has brought many new high-level features such as read-only views, collation documents, and new aggregation operators. MongoChef 4.5 adds full support for these features. MongoChef makes it super-easy to create MongoDB read-only views with its industry-leading aggregation builder. Build and debug your view with ease and then store it as a read-only view with just a click of your mouse. With MongoDB 3.4, you can now provide a collation document to specify language-specific rules for string comparison, such as rules for letter case and accent marks. MongoChef 4.5 allows you to specify a collation when you’re creating a collection, view, or an index and also when building an aggregation pipeline – and, naturally, wherever applicable in IntelliShell. MongoDB 3.4 has also brought a number of new aggregation operators ($bucket, $bucketAuto, $facet, $graphLookup, $sortByCount). Of course, both MongoChef’s aggregation builder and IntelliShell have you covered here. MongoChef Pro and Enterprise now let you export your MongoDB data directly to SQL and support the major SQL dialects: Oracle, MS SQL Server, MySQL, and PostgreSQL. Select your MongoDB data source and export to a SQL file that can then be safely imported into your SQL deployment. 2) MongoChef runs schema discovery on your MongoDB data to auto-select the most appropriate SQL target data types. You can of course also manually overwrite the mapping. 3) View the resulting SQL file and safely import your MongoDB data into your SQL deployment. We have introduced new meta-levels below the database level to make it even more comfortable to manage your various collections, views, system collections, and GridFS buckets. MongoChef now integrates with the mongodump and mongorestore backup and restore tools. You can now directly export (and of course import) your databases, collections or your query results to BSON folders or BSON archive files directly from within MongoChef. Backing up your data with MongoChef has never been easier. See our full change log for all the details. Please Name Setup file with main version number. Thanks for your suggestion. I added it to our to-do. Please continue to update to the latest release of MongoChef for more new features and hot fixes. Please add better intellisense on aggregation. This would include both basic intellisense for fields and advanced intellisense for other aggregation functionality including counting, unwinding ,grouping, lookups etc. Also could the stages on the tabs be renamed to something like $match(1) , $match(2), $unwind(3) etc. Thanks a lot for your suggestion, Enteri. I have added it to our to-do list and will keep you posted. When use bookmarked query, please set it even in Query Builder, it will be more useful. Thank you Davit for this suggestion. Quite a few people have asked for this so we have it on our to-do list and it will be implemented in one of our next releases. Please continue to update to the latest release of MongoChef for more new features and hot fixes.